Is Providence moving toward a surveilled future? 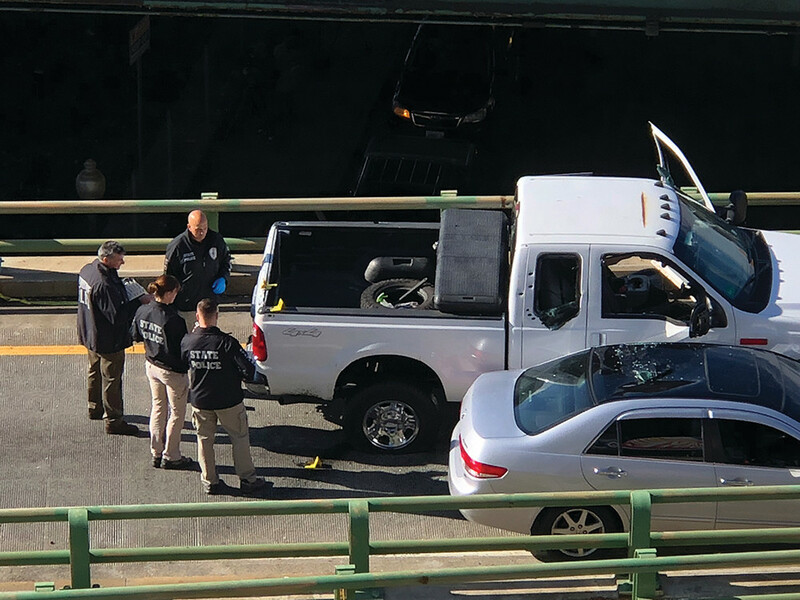 As reporters gathered inside the Providence Public Safety Complex on the afternoon of Friday, November 10, there were still plenty of questions about why nine members of the Rhode Island State Police and Providence Police Department needed to fire more than 40 shots into a white pickup truck on the I-95 North on-ramp near the Providence Place mall a day earlier. What was known was that the man driving the truck had led police on a high-speed chase before he was shot and killed by police. His female passenger was also hit by at least one bullet. Both law enforcement officials and eyewitnesses had claimed that the shooting was justified because the driver was ramming other cars as he tried to flee, but it was not unreasonable to ask whether the officers had used excessive force. During a press conference that was broadcast live across the three major local television stations and streamed on every Rhode Island news outlet’s website, Public Safety Commissioner Steven Pare and Police Chief Col. Hugh Clements released a four-minute-and-34-second video that caught nearly all of the chase and, more importantly, the shooting that had followed. The video appeared to confirm that 32-year-old Joseph Santos had been using his truck as a weapon and seemed to justify the officers’ actions. In the days that followed, Pare and Clements were widely praised for their transparency. But the two leaders owe a lot of the credit to technology. If video of the entire incident hadn’t been captured by a quick-thinking state trooper who had used highway cameras installed by the R.I. Department of Transportation to follow the white truck, questions about whether the officers acted appropriately in shooting Santos might have lingered forever. But if the highway camera footage represented a best-case scenario when it comes to surveillance video, advocates say it’s important for city leaders to consider the potential consequences as they continue to discuss expanding the ways to monitor what’s happening in Providence. In the last year alone, Providence police agreed to outfit hundreds of uniformed patrolmen with body cameras, the Elorza administration announced plans to expand the city’s red light camera program and add 15 new speed detection cameras in school zones, and City Councilman John Igliozzi announced that he wanted to place cameras in every classroom in the city. On their face, each proposal appears to have merits when it comes to public safety. But State Rep. Edith Ajello, a Democrat who has represented part of the East Side since 1993, said she is still hesitant to endorse the expanded use of surveillance video in public spaces. Ajello says she understands that public cameras can be beneficial in emergency situations like the police-involved highway shooting, but she argues that police should be required to secure a warrant ahead of time in most cases. That way, she says, a judge is offering a second layer of accountability. When Chief Clements looks at the increased use of cameras, on the other hand, he sees the potential to solve more crimes. Clements, who joined the police force in the 1980s, says he can remember a time when there was very little surveillance video for officers to use in Providence. And while he’s sympathetic to concerns about invading a person’s private life, he suggests that the good outweighs the bad. 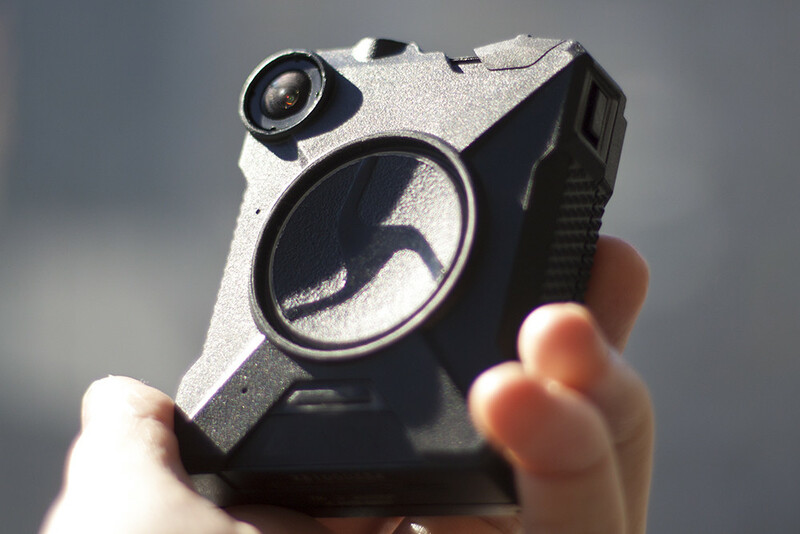 Clements is especially bullish on the use of police body cameras, which were largely funded by a federal grant created under the Obama administration following the police shooting of the unarmed Michael Brown in Ferguson, Missouri. He says he’s confident that the cameras are going to improve relationships between police officers and the communities they serve. “From a law enforcement standpoint, the more cameras we have, the better it is for everyone,” he says. Then there are revenue-generating city cameras, which include the ones installed near 35 high-traffic areas. These cameras that take pictures of cars as they run red lights while another batch tracks how fast cars are driving through school zones. Violations come with hefty fines. Ever since red light cameras were approved under the tenure of Mayor David Cicilline, city leaders have defended them as a deterrent to driving erratically. But critics have long maintained that the cameras are simply designed to boost the city’s bottom line. A report released by the city’s internal auditor in November showed that Providence collected $2.73 million in revenue from 25 red light cameras between July 1, 2016, and June 30, 2017, while paying out about $1.15 million to Xerox State and Local Solutions, Inc., the company that oversees the program for the city. The speed camera program, which is being implemented three years after a teacher died after she was hit by a car outside of Mount Pleasant High School, is also likely to result in a spike in revenue. The 15 cameras will only be located near schools. If police officers are going to wear cameras at all times and highways and intersections can be equipped for surveillance, maybe students and teachers should be able to be monitored on video as well, according to Igliozzi, a Silver Lake Democrat. Igliozzi introduced a resolution late last year calling for cameras to be installed in every classroom and public space in every school in Providence. He pointed to an incident at Central High School where an assistant principal was forced to resign after a student’s cell phone video appeared to show him pinning another student to the ground during an altercation. The assistant principal was cleared of any wrongdoing by police, but still lost his job. During the first four months of the school year, 72 school employees were placed on administrative leave for various student abuse allegations, according to the school district. At least two students at different schools later recanted their stories, but the school department is still required to report incidents to the Rhode Island Department of Children, Youth and Families. The abuse claims stay on file for three years, even if they’re proven false. Igliozzi says that his proposal would be beneficial to both students and faculty. He says that most schools already have camera systems set up in central areas, but that adding them to classrooms would offer more protections for everyone. Brown, from the ACLU, says that city leaders should be careful about “knee-jerk reactions” to specific cases. He says that officials should question why they need to monitor everything a student or teacher is doing in a classroom. “That’s a prison, not an educational institution,” Brown says. But Igliozzi says that his proposal would only serve to counteract the cell phone cameras that many students have in their pockets at all times. He says that surveillance footage would give officials a more accurate portrayal of how an incident occurred rather than relying on clips from students. Although he doesn’t know how much it would cost to install cameras throughout every city school, Igliozzi thinks they’ll eventually be second nature to everyone. He notes that police body cameras were also once considered a nonstarter by many city leaders.